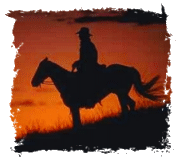 Welcome to Cowboy Action Leather – complete line of Cowboy Action Shooting Leather Accessories. We are excited to offer you top-quality leather rifle scabbard products, leather gun belts and leather revolver holster products at competitive prices. 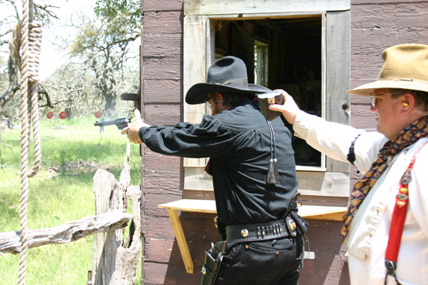 We have everything you need to enjoy Cowboy Action Shooting and compete in SASS, Single Action Shooting Society, matches. Full-fill your dream of being a “Cowboy” by adding quality leather products such as leather revolver Holsters, Shotgun Belts, Loading Strips, or Spur Straps to your Cowboy Action Shooting outfit. Your attire speaks “Cowboy” and your leather is the key to your success. Improve your speed and efficiency with Match-tested designs that will make you faster, decrease your Stage times, and give you confidence in your equipment. Our Lassiter Leather rifle scabbard products, leather revolver holster products and leather gun belts will fill your needs in building and improving your Cowboy Action shooting skills. You will see that the "Tan" option has been removed from the color choices on most of the suede items. This is because we can no longer get this color from our supplier. We have some small pieces for Lever Wraps but none large enough for the other items. If there comes a time in the future when we can get it we will put it back in.